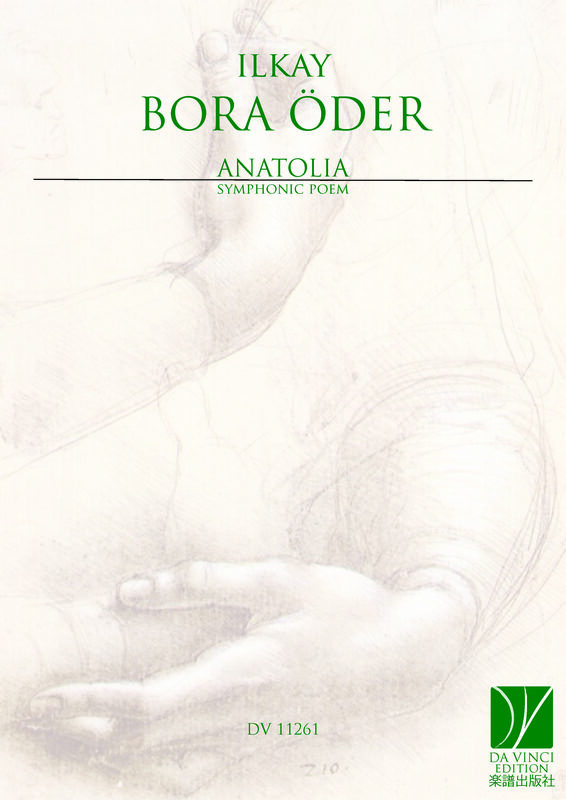 Ilkay Bora Oder: A young composer who was born in Turkey. His interest in music began with rock and with the electric guitar, in which he is a virtuoso. In 2010, through the Erasmus program, he arrived in Italy and never went back. He studied composition with M° Claudio Perugini and piano with M° Sandro Rancitelli at the Conservatory of L’Aquila “A. Casella”. In 2016 he earned a bachelor’s degree in Composition with highest marks. His orchestral composition „Anatolia“ was performed in a public concert of the Orchestra Sinfonica Abruzzese, directed by Nil Venditti. In 2017 he participated to the “Insieme Music Festival” in Perugia, where his compositions were performed by violoncello player Francesco Pepicelli and by violin player Paolo Franceschini. The same year, he started to collaborate with mandolin virtuoso Francesco Mammola and with the Ciurlionis Quartet; his compositions were performed in Vilnius, Plunge – Lithuania. He wrote an original composition, “Tombik”, for Francesco Mammola and the Ciurlionis quartet. Francesco Mammola wrote and discussed the thesis of his master’s degree on the piece. In 2018 he participated to “MusAnima Music Festival” with his orchestral piece “Çelişki”. The piece was composed for the Orchestra Sinfonica Abruzzese. It was performed in public concerts in Teramo, Pescara and L’Aquila, directed by Marco Moresco. He composed a piece for string quartet and he dedicated it to the Ciurlionis Quartet. The piece earned the first prize at the “Cortemilia International Music Competition”. Later, in October, he performed in public concerts in Birzai, Trakai, Klaipeda – Lithuania. In September 2018 he earned a master’s degree in Film Music Composition with M° Carlo Crivelli; he obtained the highest marks, honors and the “Menzione d’Onore”. For his thesis he proposed his version of “Easy Street” by Charlie Chaplin. He collaborated with a Turkish director and wrote music for her film “Catharsis”, which will soon be released. Currently, he is a composer in residence at the Musica Vitale Association in Vilnius, Lithuania. Critics have described Bora as a passionate composer who deeply knows the value of rhythms and melodies which belong to his homeland, Turkey, to his story, rock music, and more importantly, to great western music.